but the benefits far out weigh the drawbacks. It only takes a few minutes a day to help assure a smooth running shift. As my old Food and Beverage Director, Kelly Jones, of China Grill fame, preached to me it only takes 7 days to make a habit, and two days to break it. He was right. I remember thinking then that the checklists were useless and that I had always walked thru and checked everything that was on those lists as a matter of habit, but I was wrong, I missed a lot. There is a lot to be said for having things right down on paper in front of you. Once you begin implementing these restaurant operations checklists into your daily routine you will find your operation running much smother. Following these checklists will become second nature to you. You will find that the things that use to fall through the cracks in the past will all be dealt with prior to them becoming a hassle or interfering with your shift. This will give you more time to accomplish your primary goal, making sure the guests are ecstatic! To be effective the restaurant operation checklist needs to be broken down into three workable checklists: opening, duration and closing. Further refinement on the the checklist could also break down to kitchen and front of house, and for larger operations add one for the bar. Note that these restaurant operation checklists are not intended to replace the side work sheets for the specific areas, but are to be used as an on going check for the managers. 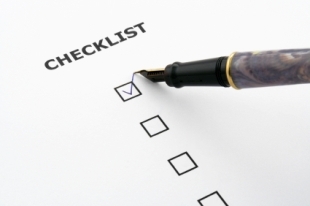 You can get our checklists here and modify them according to your specific operational needs.